the. mani. diaries. // minimalist. dots. - bitte.und.danke. Hey! It’s been a while, but I’m back at it today with a new installation of “the mani diaries.” Slowly but surely I’m starting to get a little more experimental with my weekly manicures. I specifically turn to Paintbox Nails and Olive & June for inspiration. I’m partial to negative space designs and minimal nail art in general as they fit my aesthetic and aren’t terribly hard to replicate. Speaking of minimal, minimalist dot manis have been trending for a while now (I’m sure you’ve seen ‘em while scrolling through your Insta feed). Although this wasn’t my first attempt at a dot mani, it was my first time using a dotting tool — which I highly recommend investing in, BTW. If you don’t have a dotting tool on standby, then you could also get away with using the end of a Q-tip. It just takes a bit more trial and error. If you’re interested in achieving a minimalist dot mani, here’s how it’s done. There aren’t a lot of steps! 1. I began with 2-3 coats of China Glaze’s “That’s Shore Bright,” a vibrant purplish hue. 2. Next, I used a dotting tool (included in Red Carpet Manicure’s Nail Art Tool Kit) to carefully create the dots on each nail. FYI: I chose a dark midnight blue hue for my dots (similar to “This Blue is So You”). I would recommend practicing the dots beforehand on a scrap piece of paper to ensure you’re creating uniform-sized dots on each nail. The size of the dot is dependent upon the amount of nail polish being used when dipping the dotting tool. As cliché as it sounds, practice really does make perfect! 3. After allowing a sufficient amount of drying time, I finished off with a coat of China Glaze’s “Gotta Go Top Coat.” And voilà! I would definitely consider this a beginner level mani as it doesn’t require a high level of artistry — just a steady hand! What nail design should I try next? 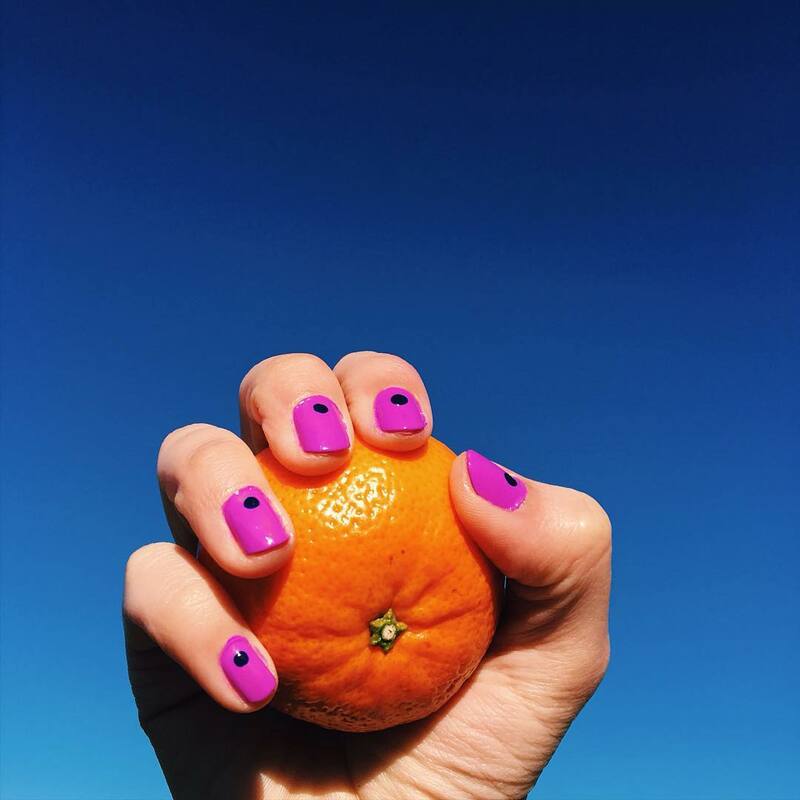 What are your favorite nail accounts to follow on Instagram for inspiration? Comment below! This minimalistic dot idea is SO CUTE! :) I definitely need to practice painting my nails, lol! All I can do is a single color!